North Korea has warned that the more sanctions pursued by the US and its allies, the more quickly it will complete its nuclear force, official state news agency KCNA reports. The latest sanctions represent “the most vicious, unethical and inhumane act of hostility to physically exterminate the people of the DPRK, let alone its system and government,” a foreign ministry spokesman said, as cited by Reuters. The most recent UN sanctions include capping crude oil supplies to North Korea at present levels and reductions in other commodities. They also include banning textile imports. 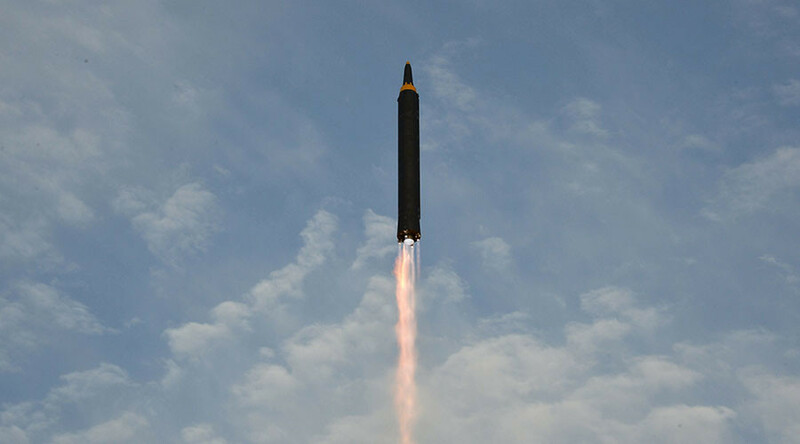 The sanctions were enacted after North Korea launched its sixth and most powerful nuclear test earlier this month. US President Donald Trump poked fun at North Korean leader Kim Jong-un on Sunday, calling him “Rocket Man” and stating that long gas lines had formed in North Korea as a result of the sanctions. As Trump delivers harsh messages to Kim, Moscow and Beijing have warned all parties to avoid unnecessary escalation. On Monday, the head of Russia’s upper house Committee for International Relations said that Moscow cannot allow the US or any country to provoke North Korea into a military conflict, as that could mean the use of weapons of mass destruction near the country’s borders. Russia and China have proposed a ‘double-freeze’ plan which would see Pyongyang suspend its nuclear and ballistic missile tests in exchange for a halt in joint US-South Korea military exercises. That plan has been rejected by Washington.